Recently, I was reminded of St. Augustine, who when speaking to the people of Hippo, remarked that his deepest satisfaction, strength and consolation, and the challenges that awaited that local church rested in the fact that he was a brother in Christ to so many of them. This was particularly moving to me in light of a recent address I presented at the Diocese of Saginaw Lay Ministry Assembly in November. During my address, “How a Church on the Move Functions,” it was important to drive home the point that we must always pray that our local church grows in the grace of our baptism. We pray we grow in faith, hope and love. Together, we are called to proclaim the Gospel of Jesus Christ, the truth about the world, and the truth that leads us to our true and common home, the New Jerusalem, the city of the living God. This proclamation of the Gospel in the Diocese of Austin is expressed through 127 churches with their religious education programs, 22 Catholic schools, Catholic Charities of Central Texas, clergy and religious, and a host of dedicated lay ministers. When we explore how a church on the move functions, we must recognize the role of the laity who possess an indispensable role in the mission of the church. The church cannot be without a dedicated laity. Every day, I am tasked with trying to bridge the ideological gaps between Christians devoted to social justice work and Christians engaged with the pro-life work. I am often intrigued by the dissonance projected sometimes by those in either camp. This dissonance is intriguing because each group’s work is intrinsically pro-life. When our church grows in faith, hope and love, we are better able to celebrate our diversity as a sign of the Holy Spirit. Without prejudice to the integrity of faith and morals, a church on the move must not allow itself to get so entrenched in any one “political” camp, that it rejects the inviolable dignity of others. Each of us must challenge one another, and especially our young people, to be radically generous in offering their lives to Christ as priests, consecrated religious, or dedicated lay persons engaged in ministry for the proclamation of the Gospel in our world. We must continue to encourage young people to never settle for anything less than the spiritual and moral greatness of which they are capable. If we are going to be a church on the move, we must be willing to make a path for young people to enjoy a more prayerful and active involvement in the life of our parishes, schools and lay ecclesial movements throughout this local church. For those of us — whether clergy, religious or laity — who have caused others to become estranged from the church, the love of Christ impels us to reach out to our brothers and sisters, welcoming them back to the sacraments and the fullness of our relationship with Christ and the people of God. If we have, even inadvertently, failed to “welcome the stranger,” the love of Christ and the Gospel message impel us to model compassion, social service and advocacy on behalf of the poor, the addicted, the lonely, the immigrant, the widow, the homeless and the despairing. 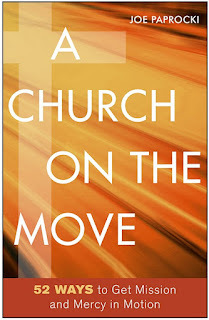 A church on the move is a church that welcomes all God’s people with open arms and hearts full of love. May our deepest satisfaction, strength and consolation rest in the certain reality that we are as Pope Francis says “protagonists in the work of evangelization and human promotion.” We are brothers and sisters in Christ who are called to function as a church on the move! 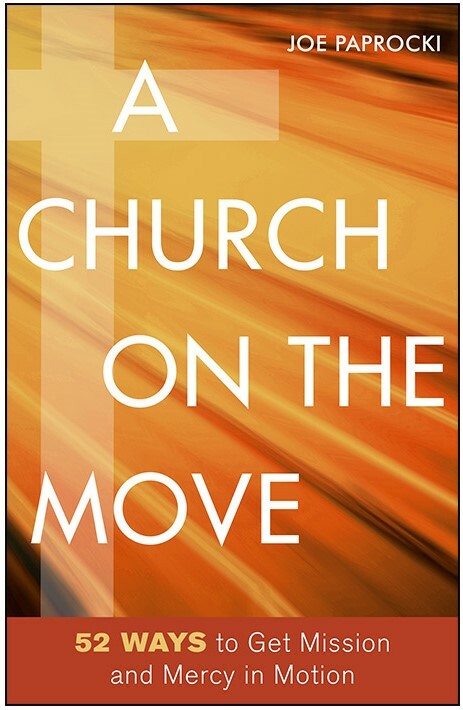 “A Church on the Move” by Joe Paprocki, is available from Loyola Press, www.loyolapress.com. Recently, I was afforded an opportunity to speak with a man who critically railed against the U.S. bishops and the church for their stances on immigration, health care, poverty, and a myriad of other issues. During the course of our conversation, I began to think of how inconsiderate and disrespectful the man was becoming because the church didn’t espouse his unjust perspectives about treating people with respect. After our conversation, I began to consider the division felt in many of our communities. As I reflected on the widespread lack of civility in politics, the lack of respect for the human person with whom we come into contact in everyday life, and the overall lack of affording people dignity simply by hearing their cries, I thought, “If we don’t step up and speak out, we would be allowing others to open wide the gates of injustice.” We must step up and speak out against the actions of those who seek to divide our communities. We can no longer tolerate those who use sacred Scripture out of context to advance an agenda that violates human dignity. Jesus was masterful in turning things around on the Pharisees. He easily refocused the challenges of the Pharisees through wholesale and indiscriminate inclusion to expose their interpretation of God’s law. This interpretation is judged to be an avowal of advocacy, adherence or allegiance expressed in words, but not backed by deeds. In the Gospel, we find the Pharisees challenging the Lord by asking, “Why do your disciples not follow the tradition of the elders, but instead eat a meal with unclean hands?” (Mk 7:5). Jesus responds succinctly with Isaiah’s prophesy about hypocrites who not only honor the Lord with their lips, teaching as doctrine human precepts, but also have hearts that are far from the Lord. Dear friends, we should not cry, “Lord, Lord,” while dehumanizing our brothers and sisters who need us. We cannot merely close off our ears to those who cry out to us in pain and despair. Failure to recognize the inherent and inviolable dignity of the human person would be to ignore that human dignity is the cornerstone of Catholic social teaching. Time and again, I point out that the Gospel illustrates a challenge and question for Peter that is relevant in our own daily lives. In the Gospel of John, Jesus asks Peter whether Peter loves him. We too are asked daily the same question by the Lord, “Do you love me?” This question is about dedication, fidelity and commitment for each of us. If we truly love the Lord, we must take care of one another — we must love one another. Illustrated throughout the Gospel by his words and deeds is Christ’s command to “love one another” (Jn 13:43). We must be as Christ expects us to be for one another. Without love there can be no true justice, no true harmony, no true righteousness and no true integrity. For this reason, we must illustrate and express more clearly our care and concern for each of God’s people, regardless of religious affiliation, ethnicity or whether they are documented or undocumented. During the Octave of Easter, I visited Holy Family Catholic School in Austin to present an award to Madelyn Edwards, a seventh grader. 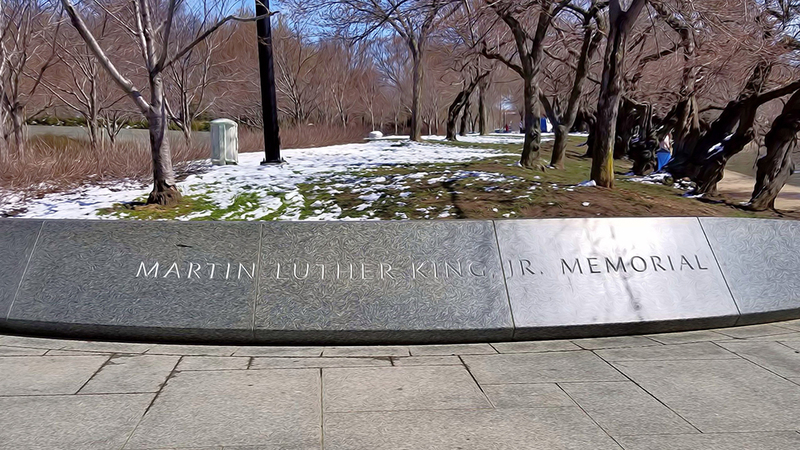 Madelyn participated in the 2018 Dr. Martin Luther King Essay Contest on the theme, “Followers of Christ: A Rich Legacy of Equality for All People.” Drawing on the legacy of King, and the first disciples’ transformation by Christ, Madelyn reminded us that, created in the image and likeness of God, he created us to live in a state of justice and peace with the responsibility to exercise good and morally right decisions reasoned by faith. Thinking about Madelyn’s perspective caused me to reflect on how people are largely products of their families — or cultural background and experiences. Accordingly, when bringing people of diverse cultural backgrounds together, we should always consider the varying perspectives of all persons. While inevitably there may be cultural dissonance, we should endeavor to appreciate the rich cultural contexts of our communities. Globalization and emerging technologies bring diverse peoples together not only in business and education, but also in our small communities throughout Central Texas. As we bring people together, we must equip ourselves with the capacity to champion every person’s inherent dignity and value — even when we do not agree on political views. This is how we build mutually beneficial relationships. A couple of days after my visit to Holy Family, I participated in our diocesan Day of Reflection for Black Catholics. Bishop Joe Vásquez stressed during the gathering, “I believe the Spirit that moves, the Spirit that allowed Christ to rise from the dead, the Spirit that continues to move in and through others, the Spirit is very much alive in you.” No cultural group is merely just part of the church because we are the church; in all our blessed diversity, collectively, we are the church, he said. “Don’t ever think of yourselves as just kind of an appendage. Don’t ever lose sight of the fact that you are the Church, just the way you are!” Bishop Vásquez emphasized. Pope Francis’ apostolic exhortation, “Gaudete et Exsultate” (Rejoice and Be Glad), forthrightly provides anew the clarion call to reorient ourselves to holiness. Pope Francis “[reproposes] the call to holiness in a practical way for our own time, with all its risks, challenges and opportunities.” Considering the complexities of the ever-fluctuating uncertainties of the political landscape around the world, and in our own domestic communities, meaningful encounter and respect for every human person is a priority for living together as a people destined for greatness, a people holy to the Lord. This call to holiness keeps before us our relationship with and responsibilities to the Lord, who has always kept his covenant of mercy to his people. When we strive to live in holiness, we exercise better commitment and courage. Our commitment to people — as in the Parable of the Good Samaritan — helps us to meet each other in our brokenness. Yes, this means we reach out with preferential concern to those who are weak, vulnerable, poor and oppressed. Courage compels us to always advance the more difficult right and just as opposed to the easy wrong when others are being persecuted and mistreated. Five years ago, we commemorated the 50th anniversary of the March on Washington for Jobs and Freedom. Four years ago, we commemorated the 50th anniversary of the Civil Rights Act of 1964, which was passed during a time when the federal government found itself wrestling with the constitution’s prohibition of denying equal protection in terms of banning the use of racial, ethnic or gender criteria in an attempt to bring social justice and social benefits. 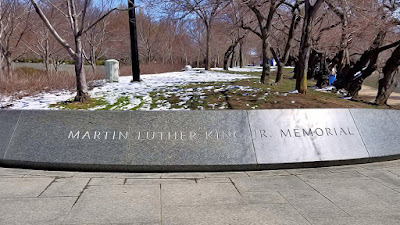 And now, in 2018, we commemorate the 50th anniversary of the assassination of Dr. Martin Luther King Jr. The late Divine Word Bishop Joseph Abel Francis, a former pastor of Holy Cross Parish in Austin, often appealed to the conscience of Catholic America, calling for conversion in its way of thinking, speaking and acting relative to blacks. Today the clarion call is for conversion in our way of thinking and acting relative to all God’s people — whether red, yellow, brown, black, purple, green, blue or orange. The duty to be “neighborly” is rightly given to us in Scripture. We have a moral obligation to offer hospitality, even to those who do not look like us or talk like us. Our bishops have challenged us to “remember our collective past as a way to overcome historical ignorance and enact good public policy.” As a community who claims to be truly Catholic, and believes that the sacraments call us to “engage conversion of human hearts in racial harmony” in an effort “to transform attitude and action in ourselves and others,” we should consider the humanity and dignity of those striving under Deferred Action for Childhood Arrivals (DACA). We should not allow the conversation about relief to be undermined by the rhetoric of illegal immigration. Pope Francis brings attention to not only charity and mercy, but also to our responsibility of addressing social inequality by reminding us that “true power, at whatever level, is service, which has its luminous summit on the cross.” Like David and Isaiah, despite their faults, were chosen “for the great evangelization,” and so, too, are we chosen for the great evangelization. May we endeavor to work toward peace, love, joy and happiness in our communities this Easter season. Our involvement with the church as a communion of people consciously in relationship with one another in response to God, highlights the reign of God, illustrating a foretaste of the heavenly banquet. The ministerial priesthood and the common priesthood of the faithful are coworkers in God’s work of salvation. We are united truly through our diversity. It is in understanding our own cultures, and in welcoming others’ cultural values, that we authentically encounter one another on the journey toward salvation. When considering the varied ethnic and socioeconomic diversity that comprises communities throughout our diocese and the nation, we are hearkened to endeavor to spread an ever-larger, more welcoming table. However, to do so, we must actively seek to understand each other through meaningful encounter. In September 1984, the 10 black Catholic bishops of the U.S. published a pastoral letter entitled “What We Have Seen and Heard” as a collective witness to the black community. The bishops conveyed the richness in the black experience that must be shared with the whole church because it is in the “celebration of the Sacred Mysteries … when the Church is most fully actualized.” Well, as we fast-forward to 2018, we find the same is true of Hispanic and Latino heritage: there is a sincere richness in the Hispanic experience of faith and sacramental life that must be shared with the whole church. The number of Hispanic Catholics is growing exponentially in the U.S. This demands and justifies the need to ensure we are actively bringing forward the gifts of their heritage to add vibrancy to what we know today as church. By embracing the culture of the Hispanic people, in light of our own respective cultures, we can revitalize our church today, and thus greatly strengthen the effectiveness of the Gospel message. Our Hispanic brothers and sisters not only draw from the sacraments of the church, but also bring to the church how God penetrates our world and is present in the ordinary aspects of life. Christ calls us to take hold of the kingdom of God, here and now. Through the diversity present within each of our parishes, we experience Christ’s presence. As we encounter others this year, we must remember the parish community is the Body of Christ alive in our midst. As a young man, I remember meeting Monsignor Dominic Luong, the dynamic pastor of Mary Queen of Vietnam Parish in the Archdiocese of New Orleans. 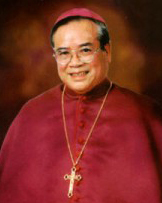 Last month, Luong—who held the distinction of being the first native-born Vietnamese Roman Catholic bishop in the United States as auxiliary bishop of Orange—died from a lengthy illness. Bishop Luong’s episcopal motto, “You are strangers and aliens no longer” (Ephesians 2:19), reflected his ministry to refugee and immigrant communities. Bishop Luong’s work is a reminder of what it means to encounter and respect all human life, especially migrants. Considering Bishop Luong’s ministry, Bishop Joe Vásquez’ work with the U.S. Conference of Catholic Bishops' Committee on Migration, and Pope Francis’ focus on authentic Christian relationships, we are reminded that when we confess the pro-life designation, there is a presumption that we are building a culture of life by going out into the world to nurture a culture of encounter. Being pro-life means modeling the approach of Christ to all people, bringing life and peace. An overarching theme in my own heart has been the Share the Journey campaign, which focuses greatly on migrants and refugees. In this contemporary age, we find migrants and refugees who risk their lives, enduring long-suffering and hardships on perilous journeys, only to encounter the walls of hardened hearts that are constructed to keep from their goals of life and peace. As Pope Francis harkens us back to the notion that having compassion means to “suffer with,” we are challenged to remember that our encounter with each other must be in word and deed. We are called to act in defense of all human life. As a Christian people, we must welcome “the stranger,” expressing genuine care and hospitality for the immigrant community. Approaching the Martin Luther King federal holiday, we must show young people the value of giving back to our communities, renewing our collective commitment to justice and charity. Each of us is called to be a “drum major for justice.” Each of us must be attentive to opportunities to create structures of justice and integrity for those rendered defenseless by indifference. Each of us is called to fight for the fundamental right to life on which every other right is predicated. As we approach the commemoration of Roe v. Wade on Jan. 22, and the tragic consequences of the Supreme Court decision that legalized abortion, we are called to affirm the intrinsic value of human life and the dignity of every human being in a way that transforms culture. Each of us is a holy child of God who is wonderfully and fearfully made. After all, Christ came that we may have life, and have it abundantly (Jn 10:10). Let us readily accept our moral obligation to defend human life at every age and every stage from conception to natural death. Finally, I encourage everyone to participate in the Mass commemorating the work of Martin Luther King at St. Mary Cathedral on Jan. 13 at 5:30 p.m. with Bishop Curtis J. Guillory of Beaumont. We also encourage everyone to participate in the activities of Texas Catholic Pro-life Day on Jan. 27 beginning with Mass at San Jose Parish in Austin at 10:00 a.m. with Bishop Joe Vasquez, or Saint Louis Parish in Austin at 10:30 a.m. with Auxiliary Bishop Daniel E. Garcia. For details, visit http://www.austindiocese.org. F. DeKarlos Blackmon is the Secretariat Director of Life, Charity, and Justice for the Diocese of Austin and a consultant to the USCCB Committee for Cultural Diversity for African American Affairs. DeKarlos has taught Scripture, sacramental theology, and moral theology. 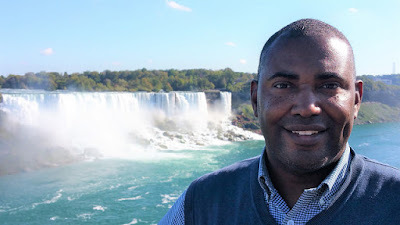 A much sought-after speaker about liturgy in multicultural contexts, pastoral leadership, and education, DeKarlos is actively involved in pastoral ministry, outreach, promoting civic improvement, and developing youth. He holds graduate degrees in pastoral ministry, business administration and public management. 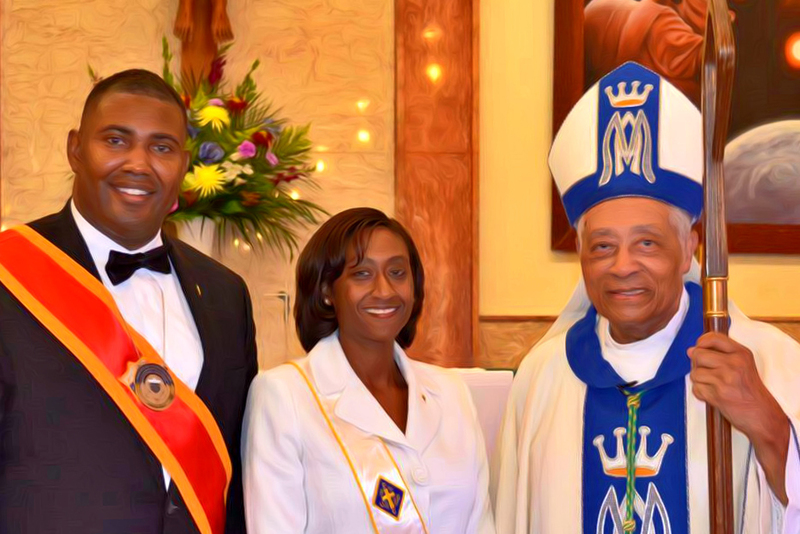 DeKarlos served as the Supreme Knight of the Knights of Peter Claver (2010–2016) and the President of the International Alliance of Catholic Knights (2015–2017). Copyright © 2013-2017. Simple theme. Powered by Blogger.